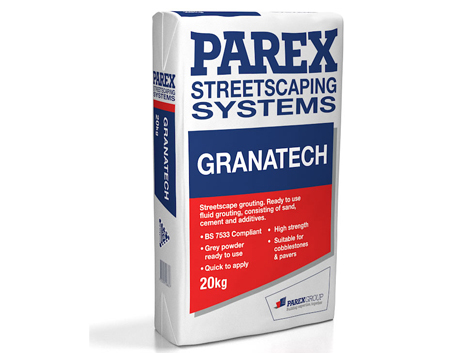 Parex Streetscaping Granatech is an easy to use slurry applied jointing mortar ideal for use with all types of paving units in hard landscaping projects. It is ready for on-site mixing and only requires the measured addition of water. The pre-blended mortar is specially formulated to meet the requirements of architects and engineers requiring compliance with the relevant parts of BS 7533. 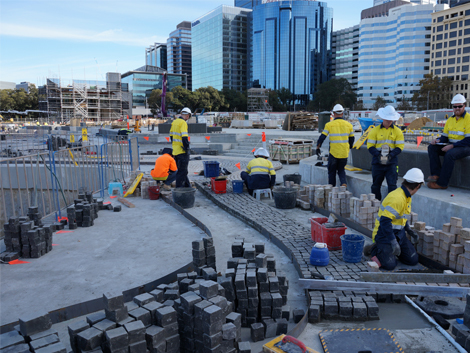 It forms part of the Parex Streetscaping range of mortars and should be used in conjunction with Parex FBC bedding mortar. 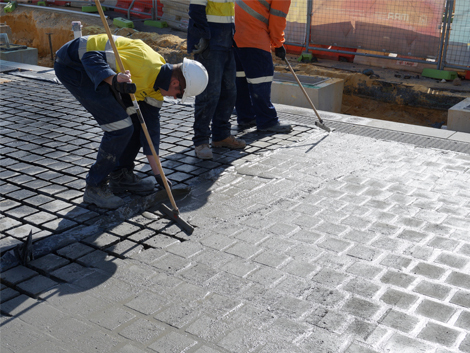 Granatech can be speedily applied over large areas for the fast and cost-effective jointing of all paving units wherever there is a large proportion of jointing material to paving unit. Application Ideal for use in trafficked areas, such as town and city centre hard landscaping and public realm schemes.